Samplesaleguide.co.uk is a simple and free to use website that features daily sample sales and stocksales in London and throughout the UK. Looking for designer fashion for less? If you love designer labels but you can’t afford the designer price tags then Samplesaleguide.co.uk is the right place for you. The sample sale list is updated daily making it easy for users to find all the upcoming sample sales in town. 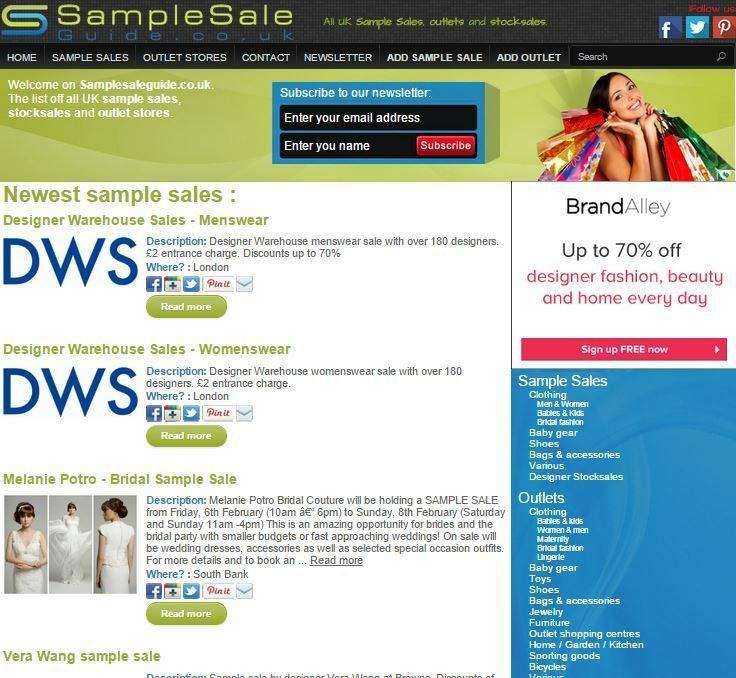 Samplesaleguide.co.uk is a simple and easy to use website dedicated to sample sales and stocksales in London and the UK. It provides all the info you may need for finding the latest sample sales in town. Be sure to sign up to their newsletter to receive news and information about upcoming sample sales in London right to your inbox.